The start of the hottest week in Latvian history came with a heated go kart race at the 333 Sports Complex on the 2nd of August. It was the fifth stage in the ongoing Pro-Kart race. It was a record-level of 192 drivers who competed against each other divided in 17 classes on Saturday. Three of the classes gathered even 20 and more drivers, who came to race from not only the Baltics, but also from Ukraine, Belarus and Russia. The first place in the RM Junior class was won by Juri Vips, leaving Kaspar Korjus and Mihails Budovskis in the second and third place. RM Senior class saw the Estonians Aavo Talvar (1st), Kairo Kivi (2nd) and Sten Dorian Pirimagi (3rd) on the podium. The winners after a fierce race in the DD2 class were Ernests Veismanis, leaving the second and third places for Zigmars Lapa and Jevgenijs Stragovs. The first in the finals from the Junior class was Titas Jurkonis from Lithuania, leaving Kert William Reinaste and Paulius Zidoveinis behind. In the Open 100 class the places on the podium were taken by Vahur Vene, Zymantas Butkus and Ivar Kuusik. In the fastest, KZ2 class, Kaspar Kallasmaa won the first place, Tonis Liigmann – the second and Hanno Rajamets the third place, but in the KZ2 Master class which gathers the most experienced drivers, the three top places were won by Latvians Vitalijs Sakalovs (1st), Eriks Gasparovics (2nd) and Jevgenijs Rudans (3rd). Raket class, which is open to anyone from the age of five, saw Sergejs Gusanovs (1st), Johann Vain (2nd) and Andrejs Atroscenkovs (3rd) on the podium. Open 125 class race earned a bit of extra attention as one of the most famous young Latvian drivers, Haralds Slegelmilhs participated and came fifth in the finals. In an interview Slegelmilhs, who hasn’t participated in races since 2012, told of his passion - the KZ2 class. He admitted that even the decision to participate in the 5th Pro-Kart stage came spontaneously in the previous night: ‘We’re currently assessing what chassis to use for the 333Autosport team during the next season’s races. So we decided to test them out last Saturday in the race regime.’ The driver added: ‘The level of racing and the go kart development in Latvia as such has increased significantly. Without a good engine and full-on training beforehand it’s not that easy at all to drive in the Open125’. 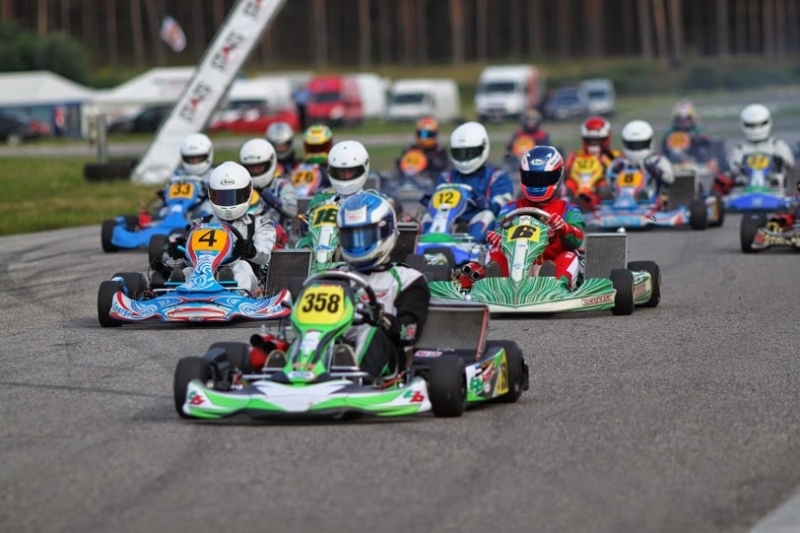 The sixth and final stage of the Pro-Kart race will take place on the 23rd of August in Madona. This <a href="http://cgmpjfkvd.com">inomioatrfn</a> is off the hizool! Heck of a job there, it <a href="http://eyzcjm.com">ableoutlsy</a> helps me out. What an awesome giwevaay to host! Thanks for introducing me to yet another neat place to shop! Vistas bags all seem ardorbzz! I would love to try the Tulara. As always, you look delightfully charming! Best regards!